PurePro K800 system is a modern kitchen appliance that has been carefully designed with health consciousness, efficiency, high performance and convenience in mind. 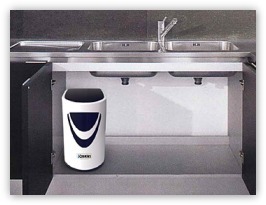 K800 uses K-Series inline filters which has molded quick-connect fittings that are easy to insert and remove the tube. 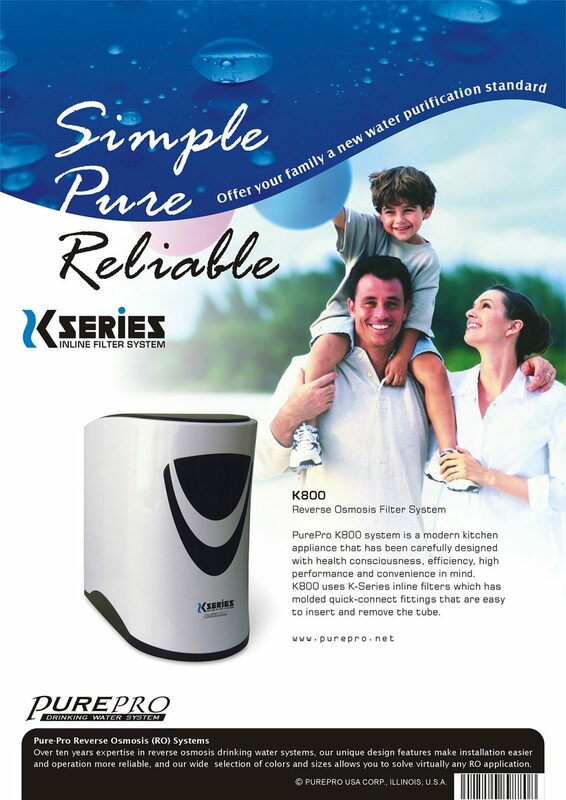 PurePro K800 system uses reverse osmosis (RO) technology - which is recognized as the most effective at significantly reducing a large number of contaminants that may be in your water - no other home water treatment system offers you as much protection and reliability. The stylish design of the PurePro K800 system was created to fit elegantly in any kitchen environment. The clean lines and graceful contours of the bright white cabinet make it the most attractive reverse osmosis water system available. PurePro K800 system use quick-fitting connector design makes installation fast and easy. The K-Series filter features 1/4" quick-connect compression fittings that allow for installation and replacement in a matter of seconds without the use of tools. 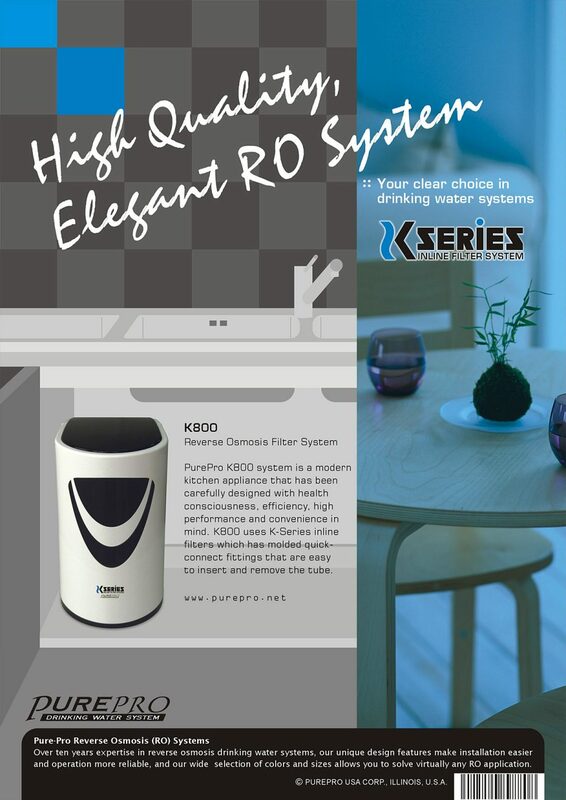 From K100 ~ K800, all of them are using standard K-Series cartridge filters.